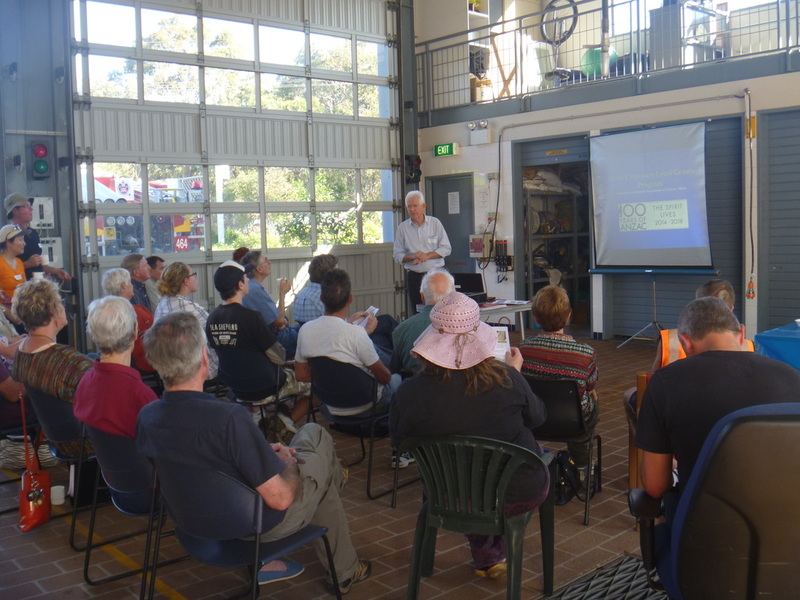 About 20 volunteers enjoyed a sunny August afternoon at the Toronto Fire Station to hear about a range of Sustainable Neighbourhood projects. The event was organised to showcase a range of Sustainable Neighbourhood projects, and to share the growing knowledge and skills amongst the Sustainable Neighbourhoods network. Volunteers had the opportunity to hear about 4 different projects, how they were created, and what challenges were met along the way. 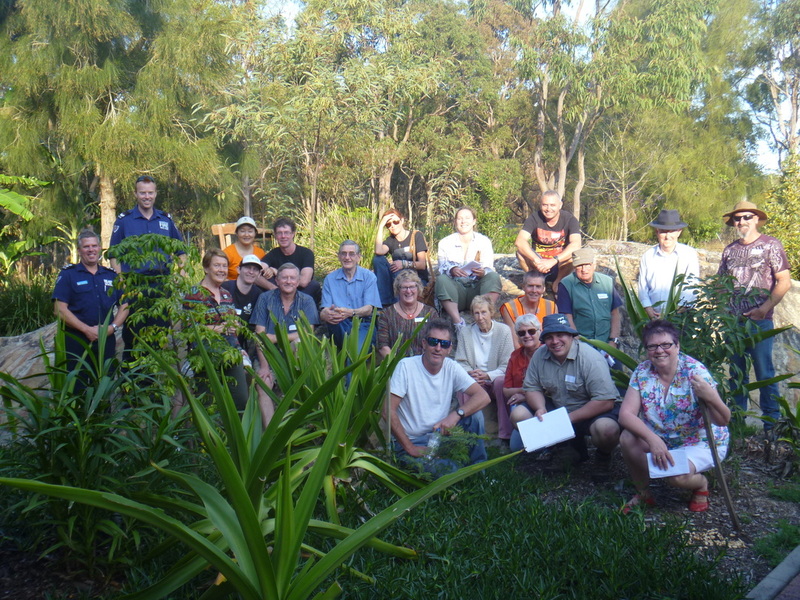 The event included a tour of the Native Fire Retardant Garden from Station Commander, Tim Brown. The garden was created last year by the Toronto Area Sustainable Neighbourhood Group with support from Toronto Fire Station, Landcare and Council, and showcases local native plants that have fire retardant characteristics. You can find out more about the award winning garden here. Colin and Lyn from the Redhead Sustainable Neighbourhood spoke about how they created a series of wonderful ANZAC murals at Redhead Public School, as part of their project to increase understanding of WW1 and our local ANZAC history. Find out more here. 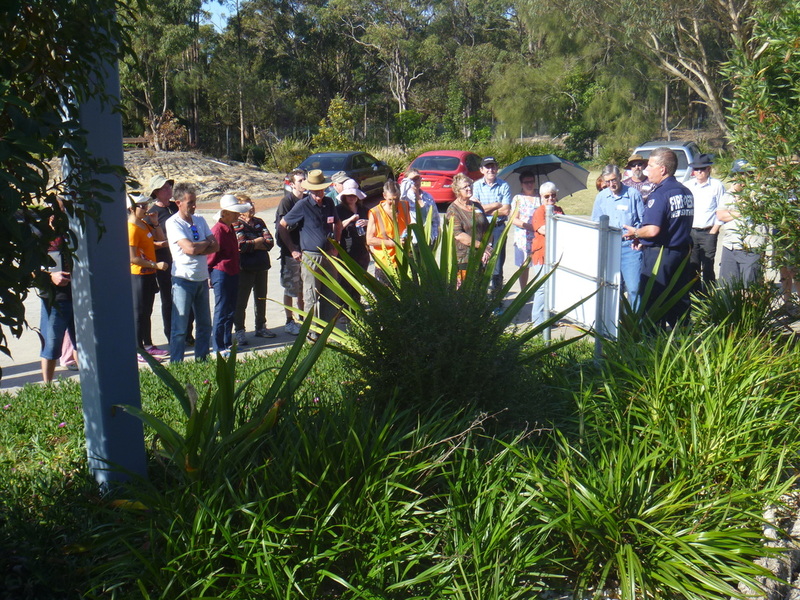 Baz from the Valentine Sustainable Neighbourhood Group shared their experience to try to establish a Community Fire Unit in their neighbourhood. And Jane from the Wangi Area Sustainable Neighbourhood Group spoke about their plans for a community mosaics project for Wangi Village. They are currently seeking funding for their project, 'Memories Making Mosaics', which will collect local history stories and represent them on a series of planter boxes. All agreed that it was wonderful to see the breadth of successful Sustainable Neighbourhood projects that are improving our local environment, and bringing our community together. Thanks to Tim, Joel, Paul and Luke for hosting us at the Toronto Fire Station. Did you know they also care for rescue chickens and a goat at the fire station? Find out more at their Facebook page.